This woman is identified as Janet Joyce. I can find no mention of her on Google. This photo was taken by the Newsboy studio, which was famous for portraits of actresses and Vaudeville performers in the 1890s and early 1900s. 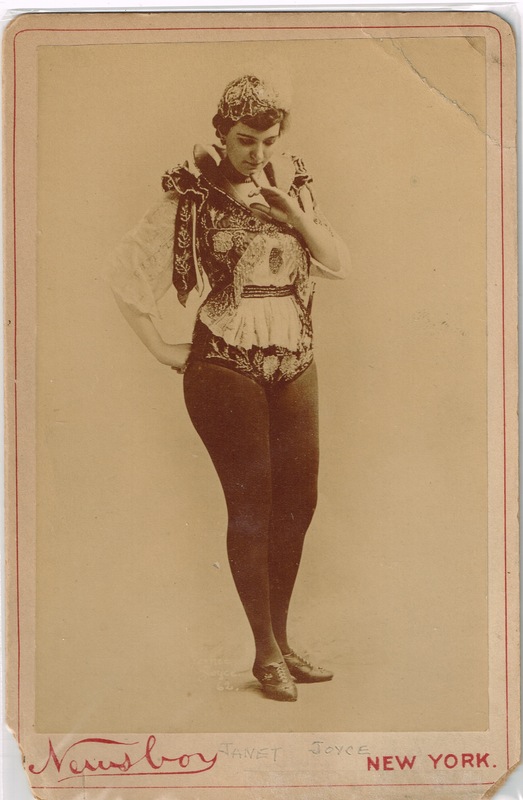 Her costume suggests that she may have been an acrobat. It is elaborately embroidered in what appears to me, to be a central European style. 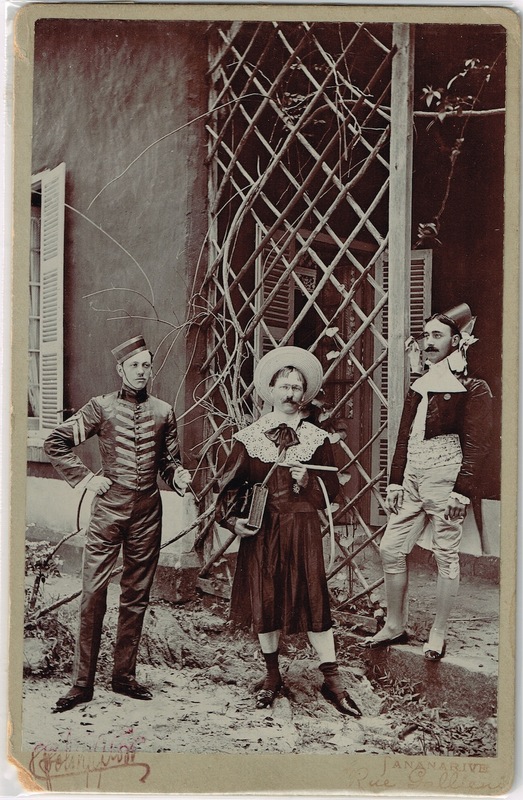 I adore this cabinet card from France. It was probably taken in the early years of the twentieth century.